Scott D. Pierce: Don’t get all politically correct. It’s OK to have a show with 8 sons and no daughters. I’m a big believer that television should reflect diversity, multiculturalism and progressive attitudes toward gender. But I’m also willing to admit it’s unrealistic — and unnecessary — to expect every show to conform to that standard. 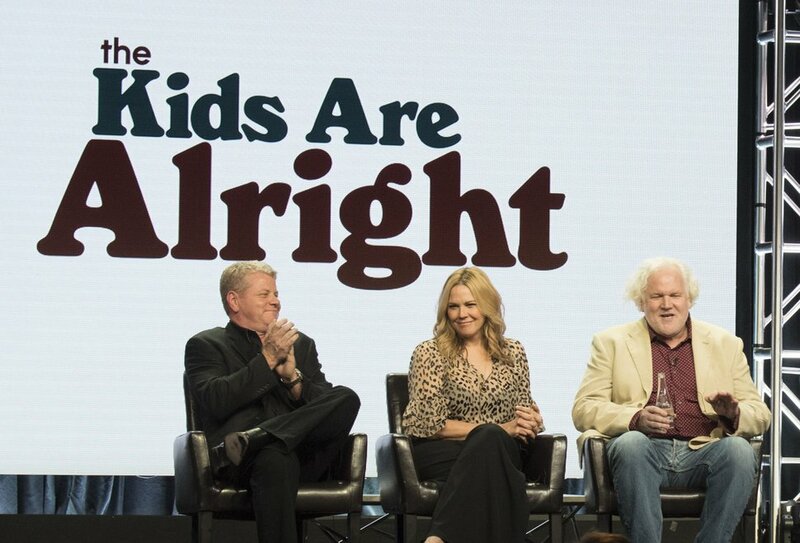 (Photo courtesy ABC/Image Group LA) Michael Cudlitz, Mary McCormack and Tim Doyle, the creator/executive producer of “The Kids Are Alright,” take questions from members of the Television Critics Association. Write what you know works in sitcoms. Would someone ask if the Huangs on “Fresh Off the Boat” should add a girl? If the Johnsons on “Black-ish” should add a Latino child? If “The Goldbergs” should add a Christian child? Of course not. And, not coincidentally, those three shows are also based on real families. No, they’re not documentaries. Yes, changes were made. “Goldbergs” creator Adam F. Goldberg had two brothers and no sisters; the fictional Adam (Sean Giambrone) has a brother and a sister — the real Eric became Erica (Hayley Orrantia). Because that show was not about a house full of boys. 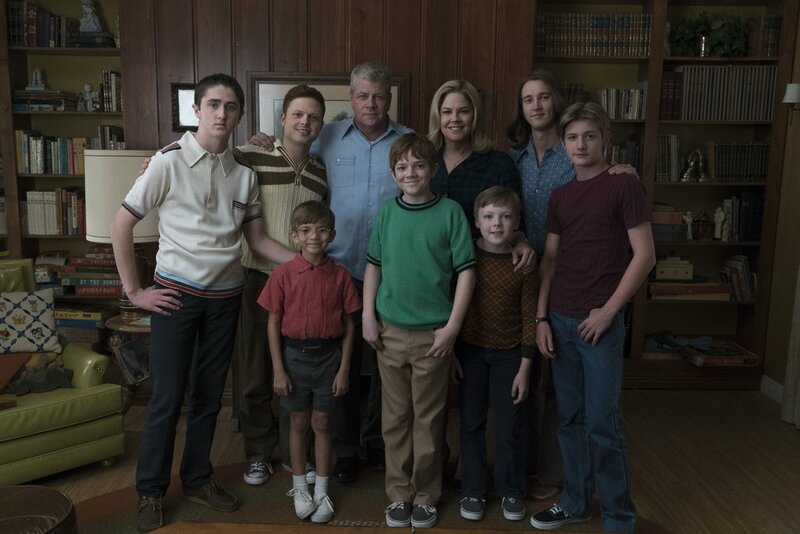 And the premise of “The Kids Are Alright” is about the singular dynamic of harried parents (Mary McCormack and Michael Cudlitz) raising eight boys in 1972 Los Angeles. It would be a very different show if it included a daughter or two. “The Kids Are Alright” is about boys, but it’s not just about boys. 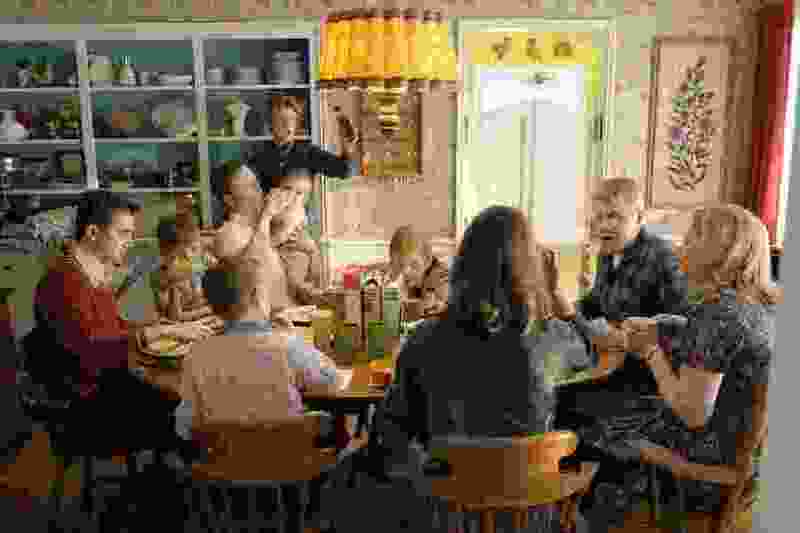 The mom, Peggy, is the strongest character on the show. And Catholic guilt plays a big part. In Tuesday’s second episode (7:30 p.m., ABC/Ch. 4), Timmy copies someone else’s poem and wins a prize for it — and he knows his mother knows what he’s done. “The big win for Mom here is getting you to confess,” says brother No. 4, Joey (Christopher Paul Richards). “Then she gets to punish you, pretend you learned a valuable lesson and feel like she’s a really good mother — the Catholic guilt trifecta." “Just like Jesus taught us,” adds brother No. 6, William (Andy Walken). This is a very promising comedy. Not every TV couple has to have both sons and daughters.